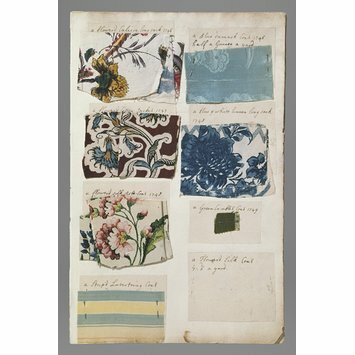 Album consisting of ninety-seven pages of paper with textile samples and fashion plates attached. The album has a green parchment binding and more than half of the pages are blank. The samples and fashion plates are usually companied by descriptive notes. 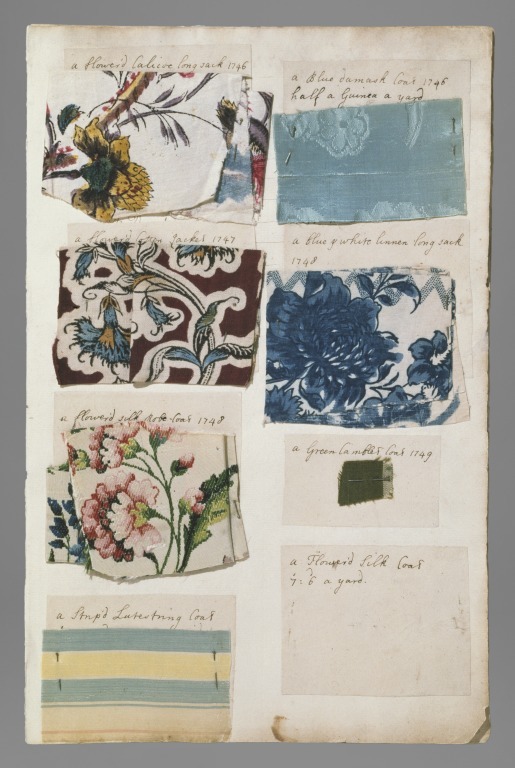 Album with textile samples and fashion plates, compiled by Barbara Johnson, England, 1746-1823. Compiled by Barbara Johnson between 1746-1823.